Get connected to the official EA SPORTS Football Club Companion App for FIFA 14! As you make your run for international glory, access your Football Club News, Alerts and Friends. With EA SPORTS Football Club, you’ll never miss an important message from your Friends, that last minute FUT Transfer, or limited time Pack Sale. Keep the world of FIFA with you, at home or on the go! NOT AN ULTIMATE TEAM USER? 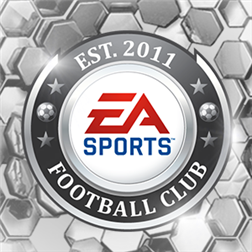 The EA Sports Football Club Companion App for FIFA 14 is available in English, French, Italian, German, Spanish, and Dutch. A simple college guy, a complete "Gamoholic" for any kind of games from pc to smartphones...Love to hang out with friends & family and a tech savvy.